Both the cigar and the fate of the young man of jewish origin, whose life is threatened, is lined like a leitmotif through this film. 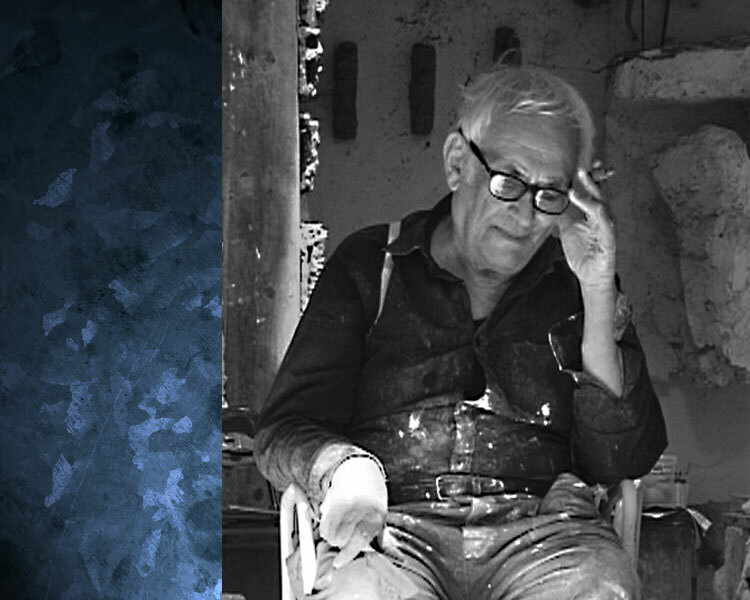 Careful, with few questions, the director approaches both the artist and the life of Hans Josephsohn. Not much is spoken. The images tell their own story. The studio is the world, briefly seen from outside; otherwise, the camera stays in the courtyard and the house. Everyday things like a coffee pot are moved into focus, as if they were objects, in which time is caught like in still lifes of the Dutch masters. This open atmosphere now and again lets Hans Josephsohn look back on his childhood in Königsberg, the fortunate admission into Italy in 1938 and the first years in Switzerland. Sometimes we watch him speak, his head moved close to the frame, but most of the time the camera shows the artist at work. He mixes plaster, constructs figures, knocks off pieces with his axe, attaches others, and always observes what the changes look like. The eyes are as important as the hands. Hans Josephsohn never forgets there is a camera. Yet no other new film brings us so close to the daily life of this great sculptor as the portrait by Marcus Spichtig. Today, after Hans Josephsohn has gone and his studio has been settled, it is a unique document.